Australia’s first and only premium marquee venue that comes to your unique location. White Top Venues is a unique concept in the wedding and events industry. We are not another hire company nor another planning group. We are both, and a little bit more. We deliver a customised marquee venue to your unique location. Further, we create a seamless and stress free experience by assisting with the planning, coordination and execution of the day. 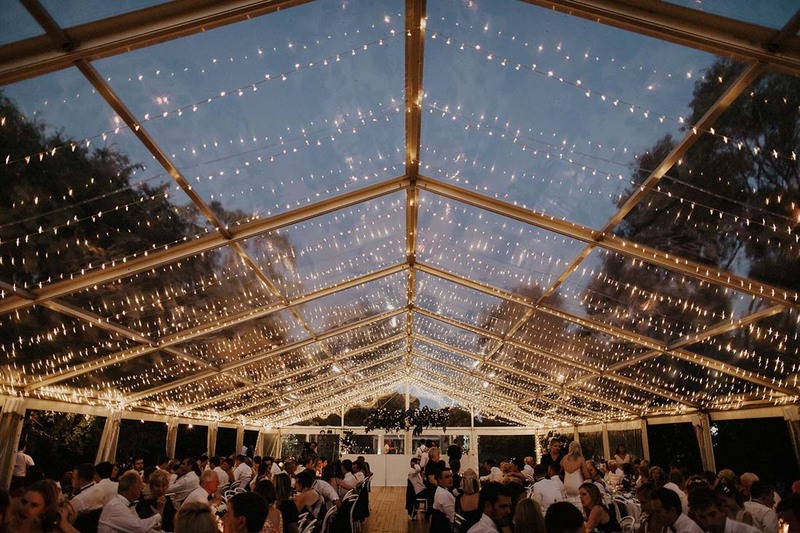 After working in the events world for many years and understanding the many hands, hours and resources required to execute an off-site event, we set our ideas in motion to deliver a tailored marquee venue experience in client selected locations across the Riverina. A venue built in different paddocks, gardens, vineyards, and parks each week. At White Top Venues, our philosophy around events is simple. They are to be enjoyed!